Commercial businesses have to watch every dime they spend; especially small business owners. This is because small businesses can’t afford waste money to correct big mistakes. One of the most expensive places to fix a mistake is with roofing. If the wrong roof is placed on a building or if a roofing job is done incorrectly, it can take thousands of dollars to replace, repair or fix the substandard job. Repair or replacement work can include any damage that was done to the structure under the roof if the damage was not found in time. This could lead to structural repair, electrical repair and sheet rock or paneling replacement. When deciding on the proper roof for a commercial structure, it is always best to consult with an experienced roofing company. There are numerous types of commercial roofing materials that have been approved for use. Asphalt, Slate, Spanish Tiles, Wood and Metals have all been approved as safe. However, different materials will react differently to varying climates, temperatures and condensation. Business owners should consider the type of climate the structure will stand in. Business owners should also consider the environment around the structure. Does this building have trees, taller buildings or natural landmarks that will help shield it from the sun, wind, rain and other elements? What kind of pitch is required if the building is a stand-alone structure? Although it can be a daunting task, commercial roofing service professionals can answer questions, help determine the right budget for a project and complete it in a timely manner. 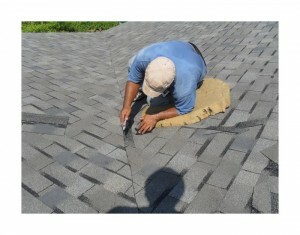 A professional roofing service will know the right questions to ask and the most cost-effective solution to provide. It will also make sure the job is done right the first time. Small business owners can save thousands by choosing the right roof through the right company. Harbor Roofing and Siding is an experienced commercial roofing contractor with 16+ years of practical application and experience in the roofing business. This company operates in North Carolina, through three counties, to provide its customers with quality roofing and siding options. These professionals work to provide new roofing or to repair pre-existing roofing that has deteriorated with age or substandard work. With the right roofing service, a small business owner can get the value of the life of a new roof many times over, allowing it to pay for itself through decades of service.